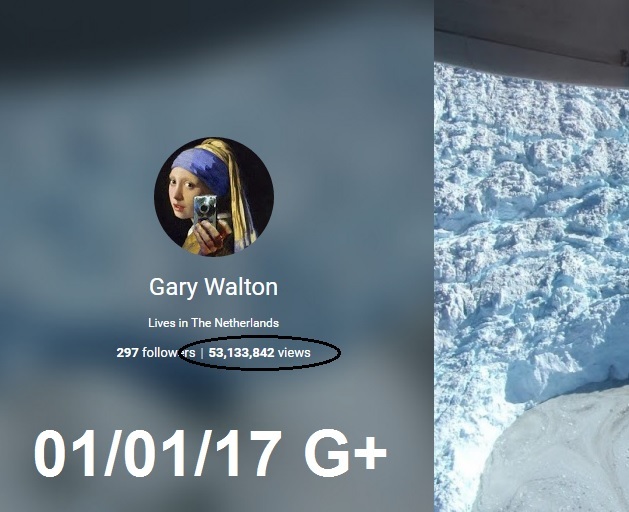 my Google+ account where 53 million hits were taken from The Big Wobble and handed to Google on a plate, in a sneaky way Google stole billions of visitor hits from Bloggers like me. In an effort not to sound too bitter I would like to bring you to the attention of the dark arts of Google. Yesterday I was checking my visitor count for the day on Google analytics, which is a "free service" from Google. According to Wikipedia, Google Analytics is a freemium web analytics service offered by Google that tracks and reports website traffic. So, as I said, on Tuesday morning I checked my visitor count for Tuesday up to just before lunch and had a reading of around of around 3,000 for the day, which I thought was rather quiet to a normal mornings traffic on The Big Wobble, so I refreshed the page expecting the count to go up but to my horror the day count went down a 1,000 visitors to 2,000 hits. Google had just taken 1,000 visitors from my daily count. I checked the rest of April and I'm down by around 50% for the whole month, The Big Wobble is very popular, the most visitors I have ever had in a day was 250,000 but it can be as high as 100,000 or 50,000, however an average day on The Wobble this year up to April was around 10,000, in April that average has dropped by more than 50% which is impossible. This is not the first time The Big Wobble has been targeted by Google. Everyone who has a Google account is automatically a Google+ account, you can not use your account without it, it is forced on you. In 2015 substantial changes leading to a redesign of Google+ and I soon realised this redesign had hit The Big Wobble knocking my visitor count once again by more than 50%. What happened was with the new design every time I posted an article on The Big Wobble, Google+ posted the same article on their account. I did some digging and realised all the Big Wobble posts had been removed from Google landing pages and replaced with my Google+ posts knocking off the true Big Wobble post and boosting their own Google+ account, according to Google+ I had an incredible 53 million visitors on my Googl+ account which rose by 16 million in one day but in reality the 53 million hits were taken from The Big Wobble and handed to Google on a plate, in a sneaky way Google stole billions of visitor hits from Bloggers like me. I tried to complain to Google but guess what, you cannot contact Google, it is as far as I know a shut-out, they are not reachable, the only contact is on Google forums which are run by volunteers who if you complain about Google in any way group together and bully you. Another Google run group of nasty's is YouTube, I have nearly 1500 subscribers and many of them love my weekly updates, however, I have stopped the updates because it's just not worth the time and effort for a few hundred views I receive for each video, even though I have nearly 15,000 subscribers, the sums just don't add up, it is sneaky and we as customers can do nothing about it. Mark Zuckerberg appeared in front of US senators on Tuesday and at times looked like he'd rather be anywhere else. And, of course, it was something that was picked up on by social media. 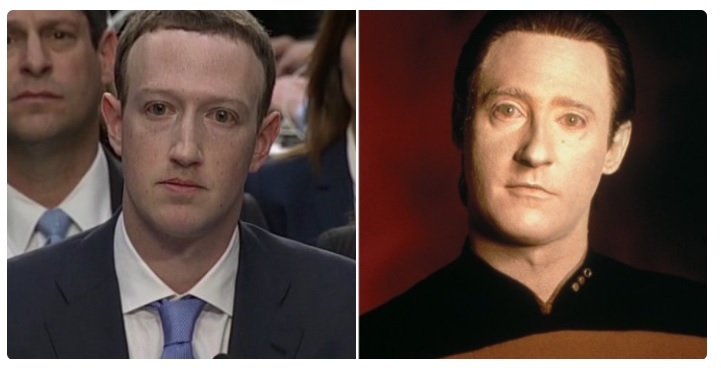 The Facebook CEO's at-times awkwardness saw him being compared to Star Trek's Data - an android who struggles with human behaviour and emotions. 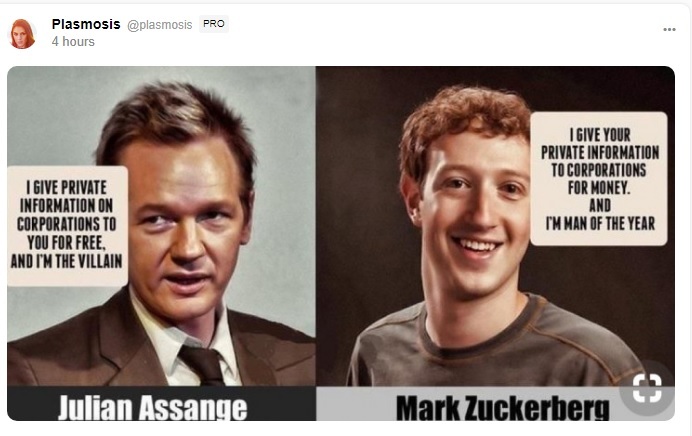 The senators, who were grilling Mark about Facebook's role in the Cambridge Analytica data scandal, also opened themselves up to ridicule - with some pretty unbelievable questions.